Following the tradition of recycling and reducing conference waste, we are providing the ultimate forum to promote yourselves and your services, and in turn reduce our plastic use and extend the usability of conference products. This book will be the delegate’s one stop reference guide to the conference. 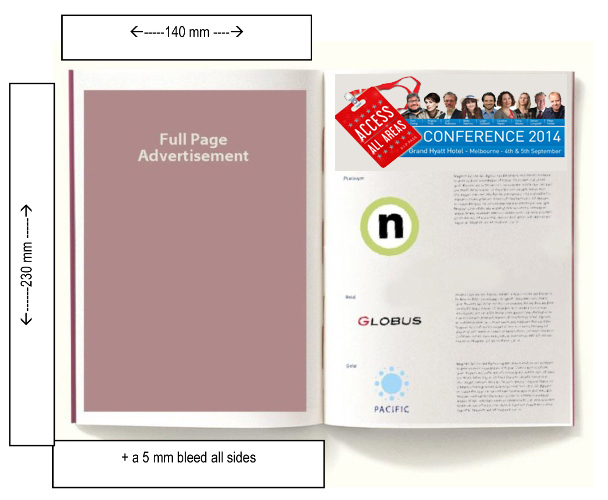 A full manual with information about the program, all of the delegates and of course information on the sponsors! A reference to all of the information, professional development, new information, networking and the best thing is that it can become part of their professional library. 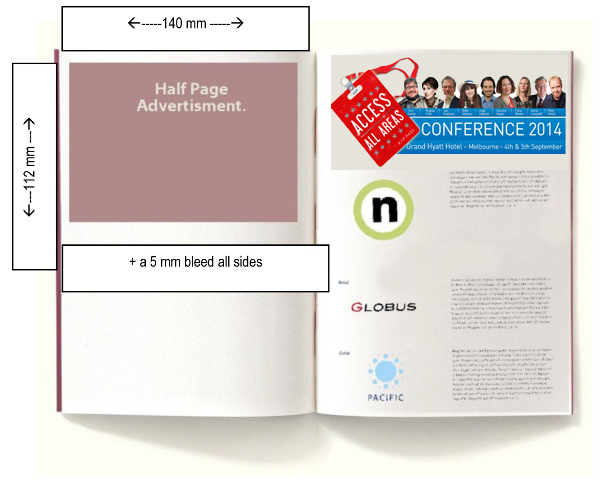 There will be limited availability to advertise in the Delegate Book, so if you wish to create an even bigger branding splash, we will be taking artwork for these pages on a first come first served basis.